ooooh! I'm going to try putting peanut butter in my oatmeal! 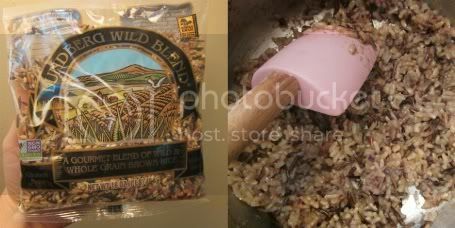 I love oatmeal because its healthy and cheap, but I've been looking for ways to get creative with it. Thanks! The oatmeal recipe sounds delicous. Can't wait to try it. Yummo! That's exactly the type of food I love to eat, even though I'm not on a particular program. Peanut butter goes with everything. 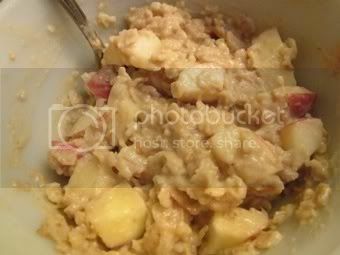 The oatmeal w/ peanut butter and apples DOES sound delicious - I will, definitely, be trying that! And the salad looks great, too! I love adding PB to my oatmeal! Makes it taste so yummy! I will be trying the rice dish. Can I ask do you make the oatmeal with water? Wow way to go for sticking to the vegan diet! I don't think I could ever do this, but I bet you're losing a lot of weight!